Headquarters: 1056 Budapest, Nyáry Pál utca 10. Act LIII of 2017 on the prevention and countering of money laundering and the financing of terrorism (“the Money Laundering Act”). Anyone may, by providing their personal data, and without disclosing their identity, may have access to the Website maintained by the Processor, and may have free and unrestricted access to the information on the Website and to any content stored thereupon. Some of the links appearing on the Website may lead to websites operated by others. The Processor does not assume any liability whatsoever for the content of the latter, or for any damages resulting from the use of information found on these sites. Legal grounds for data processing: consent by the data subject [GDPR Article 6 (1) a)], as well as taking steps at the request of the data subject prior to entering into a contract for data processing [GDPR Article 6 (1) b)]. Persons who have not yet 16 years of age may only give consent to data processing via the persons exercising parental rights in their regard or through the consent of the latter. Personal data processed: name (given and family names), place and date of birth, residential address, telephone number, other data disclosed when contact was established, the description of the case at bar and information, documents and electronic documents for its resolution. The Processor may not use the personal data disclosed, nor permit it to be used by others, for any purposes other than those specified above. The prior and explicit consent of the data subject is required for the release of personal data to a third person or to government authorities, unless otherwise stipulated by law. f) may exercise the right to data portability. In accordance with the latter right, the data subject is entitled to receive the personal data related to him or her, and is entitled to request that the Processor forward these data to another processor. g) have the right to legal remedy. 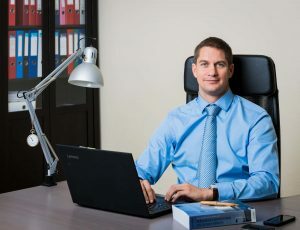 Data subjects may file a complaint with the Hungarian National Authority for Data Protection and Freedom of Information (hereinafter: “NAIH”) or with the court having jurisdiction. g) have the right to legal remedy. The data subject may file a complaint with the NAIH or with the court having jurisdiction. Personal data processed: name, permanent address, place of residence, mother’s maiden name, place and date of birth, email address, telephone number, citizenship, ID document (personal ID or passport) number, address card number, personal identifier, tax number, photograph, contact person and representative’s name, email address and telephone number, facts of case as given by the client (including the following: description o the case, and information, documents and electronic documents regarding means of resolution). Duration of data processing: five years following the termination of the contract; in the case of countersigned documents, ten years from date on which countersigned; for cases related to real property rights, ten years from the date of registry of the right to the real property in the public registry [Section 53 (3) of the Attorney Act]. Where an invoice is issued, the duration of data processing shall be of eight years from the date of the annual report, business report or accounting report for the given year. The Processor shall ensure that the rights of data subjects are enforceable as follows. The Processor shall provide data subjects with the possibility to submit a request in connection with the exercise of their rights as data subjects in the following ways: (i) by post, (ii) by email, and (iii) by telephone. The Processor must respond to the data subject’s request without any undue delay, at the latest within one month of receipt of the request, in a concise, transparent, understandable and easily accessible format, expressed in clear non-technical language. If the Processor should decide to refuse this request, it must do so within the same time limit, and must in this case inform the data subject of the rejection of the request, the reasons therefore as well as the legal recourses open to the data subject. As a general rule, the Processor shall respond to the data subjects request via email. However, if the data subject specifically requests to be contacted by post or telephone and has provided relevant contact information, the Processor shall respond in kind. Response to the data subject’s request by telephone may only be given once the data subject has proven his/her identity. The Processor may not use the data subject’s postal address or telephone number for any other purpose. The Processor may not charge any fees or demand any compensation for responding to data subject requests. If however the data subject submits another request regarding the same set of data within one year of a request that was already fulfilled, the Processor shall reserve the right to set a proportionate amount of compensation for the work required to fulfil said request. the circumstances, effect and measures taken to counter any personal data breach that may have occurred. Even in the absence of a request by the data subject, the Processor shall provide information (by email) to the data subject of any substantial changes to the original information provided, of the circumstances, effect and measures taken to counter any personal data breach that may have occurred. At the request of the data subject, the Processor shall correct any inaccurate personal data relating to the data subject. The Processor shall inform all addressees of the correction to whom it has disclosed the personal data, except if this proves impossible or requires disproportionate effort. At the request of the data subject, the Processor shall inform the data subject of the addressees. under applicable EU or Hungarian law, the Processor has an obligation to delete the personal data. The Processor shall inform all addressees of the deletion to whom it has disclosed the personal data, except if this proves impossible or requires disproportionate effort. At the request of the data subject, the Processor shall inform the data subject of the addressees. the Processor no longer needs the personal data for processing purposes, but the data subject requests the latter for the purpose of asserting, enforcing or defending legal claims. The Processor shall inform all addressees of the restriction to whom it has disclosed the personal data, except if this proves impossible or requires disproportionate effort. At the request of the data subject, the Processor shall inform the data subject of the addressees. At the request of the data subject, the Processor shall place all personal data relating to the data subject and disclosed by the latter at the disposal of the data subject. The Processor further agrees that the data subject may forward these personal data to another processor without any interference on the part of the Processor. Insofar as the data subject believes that, in the course of data processing, the Processor has violated his or her right to the protection of personal data, the data subject may avail himself or herself of the statutory judicial remedies offered by the competent legal authorities, or may file a complaint with the NAIH (address: 1125 Budapest, Szilágyi Erzsébet fasor 22/c. ; postal address: 1530 Budapest, Pf. : 5.; website: www.naih.hu; email address: ugyfelszolgalat@naih.hu; telephone number: +36-1/391-1400), or may file a claim with the competent tribunal. The Processor agrees to, in the course of these proceedings, cooperate in every respect with the tribunal in question or the NAIH, and to deliver to the tribunal in question or the NAIH any data related to the data processing. The Processor further agrees that it shall have the obligation to provide compensation for any damages caused by the unlawful processing of the personal data, or for any processing conducted in violation of data security requirements. In the event that the right of a data subject has been violated, the data subject may make a claim for damages. The Processor shall be relieved from liability in the event that these damages were sustained as a result of an unavoidable cause falling outside of the control of the processing, or if the damage or the injury caused by the violation of a personality right was due to the intentional or gross negligence of the data subject.